The main issue that bothers indigenous people is an unequal and unjust representation of their knowledge in relation to the formalized Western education system. Despite the affirmation of indigenous knowledge by the Declaration on the Rights of Indigenous Peoples, the Western formal education system defines what knowledge and teaching methods are authentic or not. The purpose of this chapter is to determine the value of the indigenous knowledge and their pedagogic methods for preschool and school teachers. The data collected has been critically analyzed through John Rawls' theory of social justice. There is an agreement between authors and teachers that indigenous people had education systems that sustained them for years. 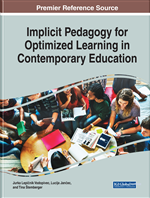 This chapter provides some recommendations on how these valuable methods of teaching can be incorporated into the mainstream education systems. This section intends to conceptualise important concepts that form the core of this chapter. The concepts include indigenous/aborigines/natives, explicit curriculum, implicit (hidden/covert) curriculum, societal curriculum (or social curricula) and indigenous education system. Native and indigenous are two words that are used commonly to refer to plants, animals even people. It is interesting to see these entities being referred to as native, aboriginal, or indigenous. Most writers would like to associate the concept aborigines with native people of, for example, Australia, Canada and India, to mention just a few. For this chapter, the concepts indigenous (people) will be used to include all these terms. The term ‘indigenous’ refers to the origin of things or something (for example plants or animals) that are natural and distinctive in a particular context (Msila & Gumbo, 2016, p.98). Simplifying this definition, one can say the concept ‘indigenous’ means to produce, grow, live or exist naturally in a particular region or environment, e.g. indigenous plants and indigenous animals. Other terms synonymous or related to indigenous are native, endemic (peculiar to a region), and aborigines – all meaning belonging naturally to a particular locality. Indigenous or aboriginal peoples are the original inhabitants of a particular country. In Africa, this entails people who moved from one part of the continent to another as hunters and gathers (Msila & Gumbo, 2016, p.99). Taking into consideration the definition of indigenous as provided above, indigenous people are ethnic groups who descended from the original inhabitants of Africa (Gumbo, 2015, p.61). Indigenous Education System: The term used to describe the knowledge systems developed by a community as opposed to the scientific knowledge that is generally referred to as ‘modern’ knowledge. Indigenous knowledge is the basis for local-level decision-making in many rural communities. Social Justice: Is based on the concepts of human rights and equality, and is the way in which human rights are manifested in the everyday lives of people at every level of society”. It is a political and philosophical concept that holds that all people should have equal access to wealth, health, wellbeing, justice and opportunity. Implicit Curriculum: Curriculum that is crafted within the thinking processes of individual teachers but not written down or published, and therefore not able to be replicated by others. Imitation: The action of using someone or something as a model. A child learns to speak by imitation. Synonyms: emulation, copying, following, echoing, parroting “learning by imitation”. Pedagogy (Plural Pedagogies): The method(s) and practice of teaching, especially as an academic subject or theoretical concept. The function or work of a teacher; teaching or the art or science of teaching; education; instructional methods. Oral Tradition (or Oral Lore): Is a form of human communication where in knowledge, art, ideas and cultural material is received, preserved and transmitted orally from one generation to another. Indigenous People: Are inheritors and practitioners of unique cultures and ways of relating to people and the environment. Explicit Curriculum: Curriculum that has been carefully designed, pilot tested by teachers and students, and then presented or published.